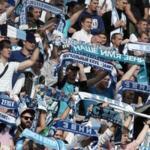 The St. Petersburg club «Zenit» fined 120 thousand Rubles. poor security at the match of the 7th round of the Czech Cup with Dinamo Moscow. About it the correspondent said the head of the Control and disciplinary Department (CDC) of the Russian football Union (RFU) Arthur Grigoryants.